Looking to settle down in Colorado Springs, CO? Wanting to upgrade to a new home in the area? Hoping to sell your current home in this beloved city to move on to better opportunities? 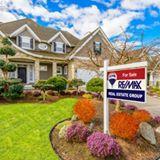 Turn to the Colorado Springs, CO real estate experts with the RE/MAX Real Estate Group. Since 1993, we’ve offered our expertise to help current and future residents of Colorado Springs, CO. We specialize in residential real estate in Colorado Springs, CO, to give you the best services possible. Just tell us if you’re looking to sell or buy and we’ll do our part in helping you achieve that goal. If you’re planning on buying a family home or other real estate in Colorado Springs, CO, we’ll show you the best listings that match your needs and budget. Tell us your price range and which things you expect from your new home. Features include number of bedrooms and bathrooms, total square footage, landscaping features, and materials like wood flooring and granite countertops. You can also use the images above to take a look at our online listings. You can use the search feature to narrow down your results, and if you find something you love, let us know so we can arrange a walk-through. Do you hope to sell your home? We’ll let you know how to get the best offers and schedule tours with potential buyers. If necessary, we’ll tell you which upgrades you should make to create a more aesthetically pleasing home. Questions? Don’t hesitate to reach out to the RE/MAX Real Estate Group. You can call us at (719) 534-7900 or use the form at the right of this page to send us a message.